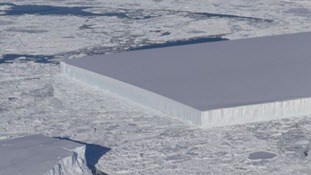 NASA ICE has captured some stunning - and surprising - images of ice. 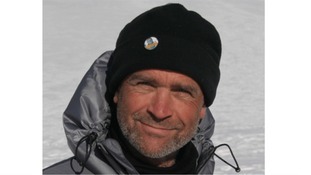 The explorer who died on Sunday just short of his goal of crossing the Antarctic unaided has more than doubled his fundraising target. Prince William has paid tribute to former Army officer Henry Worsley, who has died after suffering from exhaustion and dehydration. 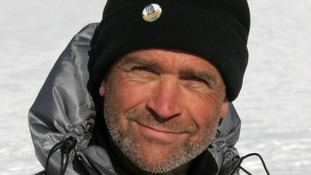 Henry Worsley was attempting to become the first person to cross the barren region completely unassisted. Findings from the European Space Agency follow warnings that millions could be displaced as irreversible melting causes sea levels to rise. Explorers Ben Saunders and Tarka L'Herpiniere have become the first people to complete Captain Scott's doomed trek to the South Pole. A British explorer has lead the first successful expedition to retrace Captain Scott's ill-fated journey to the South Pole and back. An American heavy icebreaker is leaving Australia for Antarctica to rescue more than 120 crew members aboard two vessels trapped in ice near the frozen continent's eastern edge. The Polar Star - a 399ft coastguard cutter - will be helping Russian and Chinese ships because "there is sufficient concern that the vessels may not be able to free themselves from the ice", the coastguard said. The Russian research ship - Akademik Shokalskiy - has been trapped in ice-clogged Commonwealth Bay since Christmas Eve, while the Chinese ship which came to its rescue, Xue Long (Snow Dragon) reported on Friday that it too had become stuck nearby. A day earlier, the Chinese ship's helicopter had retrieved 52 scientists, journalists and tourists from the Russian ship, who are now on their way home aboard an Australian icebreaker, Aurora Australis. Authorities say the 101 crew aboard the Chinese ship and 22 aboard the Russian ship had plenty of supplies and were in no immediate danger. The Polar Star has cut short its planned stop in Sydney, Australia, to assist. It will take about seven days to reach Commonwealth Bay, depending on weather. Scientists trapped on a research ship since Christmas Eve by Antarctic ice have finally been rescued.